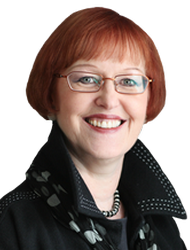 I’m Jacqui Elmore and people describe me as enthusiastic, energetic, direct and determined. I’m up for a challenge and above all fun to work with. I have worked for large corporate organisations in European roles, mid-sized UK companies and smaller businesses and loved all of them. Over the past 35 years my business experience has encompassed roles in Sales and Marketing, Business Development, Product Marketing and Customer Service. I have worked in many types of Industries including Electronic Distribution, Broadcast and Media, Retail and the Pub Trade, Tourism and Wine Importing. I returned to the UK in 2006 after a three year stay in West Africa and for the past five years have undertaken Interim Management assignments. Now as an Ology Business Coach in the Northampton and Milton Keynes area, I get to work with a large variety of businesses using my coaching skills and business experience in conjunction with some fantastic systems and programmes. I want to work with people who have a strong passion and a vision to develop their business. So if this describes you, let’s meet and decide if we can work together and through business coaching achieve plenty of new business and sustainable profits. My mission as a Business Coach is to help my customers improve their business performance through embedded positive change and have lots of fun whilst we do it !! I will use my 35 years of business management experience to help Small and Medium business owners and MD’s achieve better business results far quicker than they can do on their own. As a Business Coach, as well as developing the results of the business together. I will develop your personal performance and your teams’ to the highest potential. If you are ready to accept that you personally need to change and do things differently to take your business to the next level, call me and let’s get started.